Connectivity: Network serves key destinations and districts. Bikeways should be spaced a half-mile apart at most, forming a minimum grid. 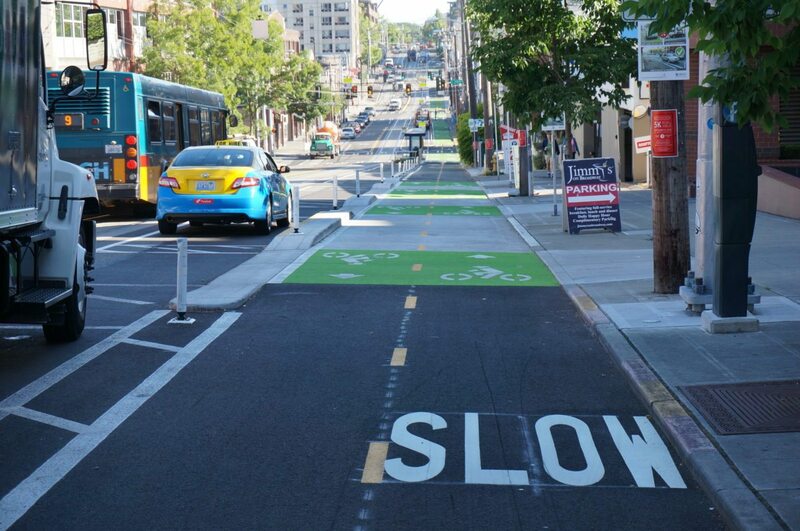 Convenience: System should minimize delay and out-of-direction travel, avoid unnecessary hills, allow for bicyclists to pass each other, and provide wayfinding guidance to other bikeways and popular destinations. 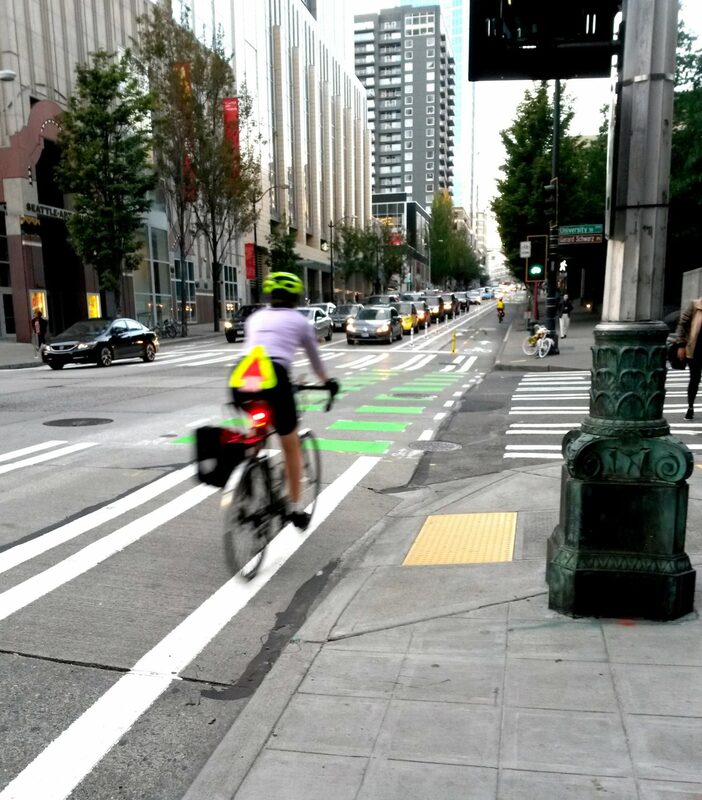 Safety: Design and maintenance should minimize the potential for bodily harm by providing adequate operating space, ensuring bicyclist visibility at intersections, and creating a predictable environment for all path and/or road users. Comfort: The network should not induce stress. On-street bikeways should provide dedicated space for bicyclists or create a traffic-calmed bicycle priority environment. 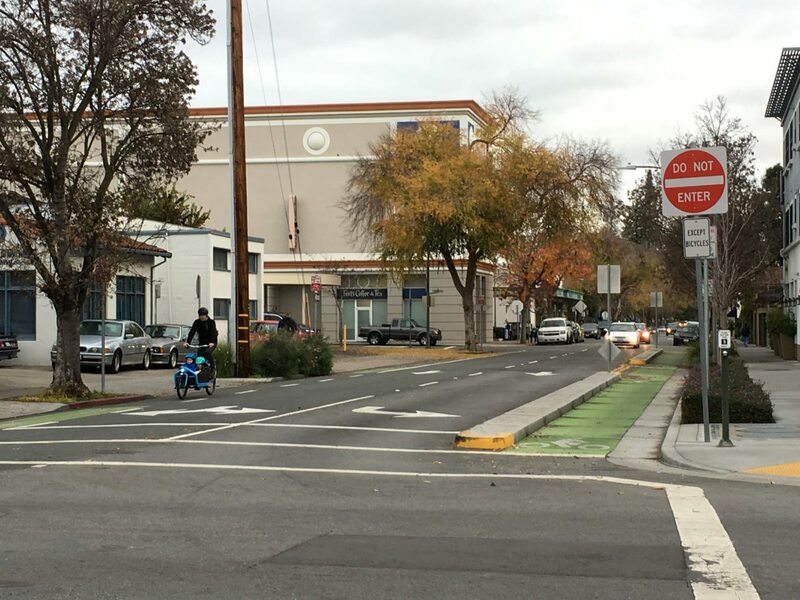 Off-street bikeways should be adequately buffered from fast-moving vehicles and include enhanced crossing treatments at roadway intersections. Inclusion: The best cycling networks enable riders of all ages and abilities. 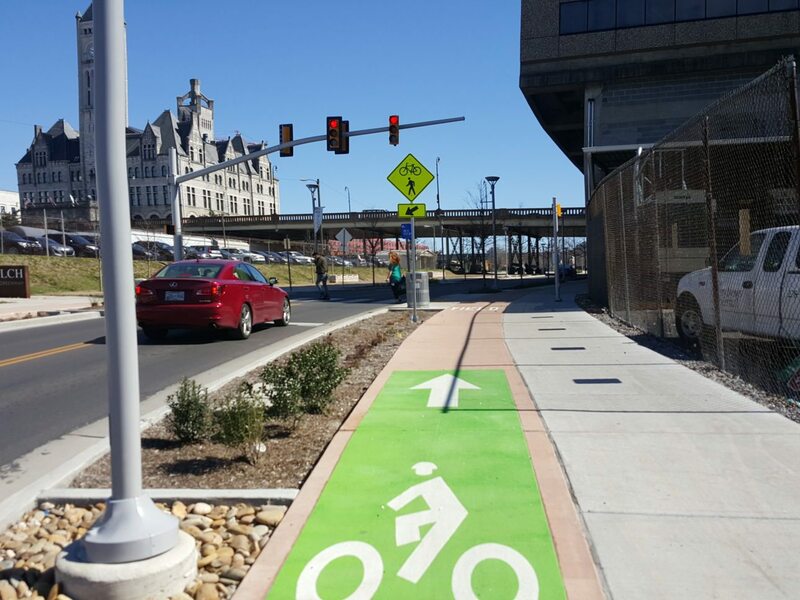 They facilitate safe, comfortable, and convenient routes for all community members, and are supported by policies, practices, and programs to encourage people to cycle. Alta is a leader in planning all ages and abilities facilities. Smooth transitions: Bicyclists should be able to move easily from on-street facilities to off-street pathways and vice versa. Bicyclists should not be subject to unnecessary conflicts, such as navigating large parking lots to get from a pathway to bike parking. 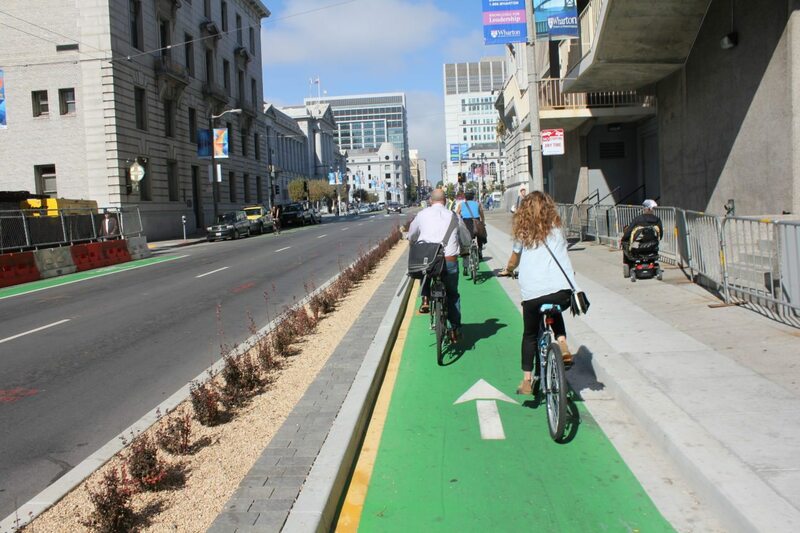 Separated bike lanes provide increased safety and comfort for bicyclists beyond more traditional facilities like bicycle routes or bicycle lanes. 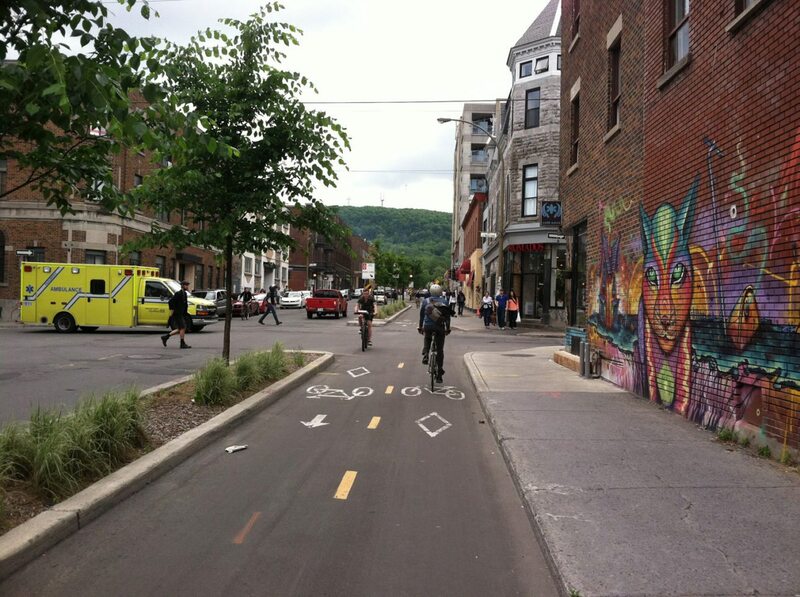 Separated bikeways are most appropriate on streets where higher traffic volumes and speeds warrant greater separation. 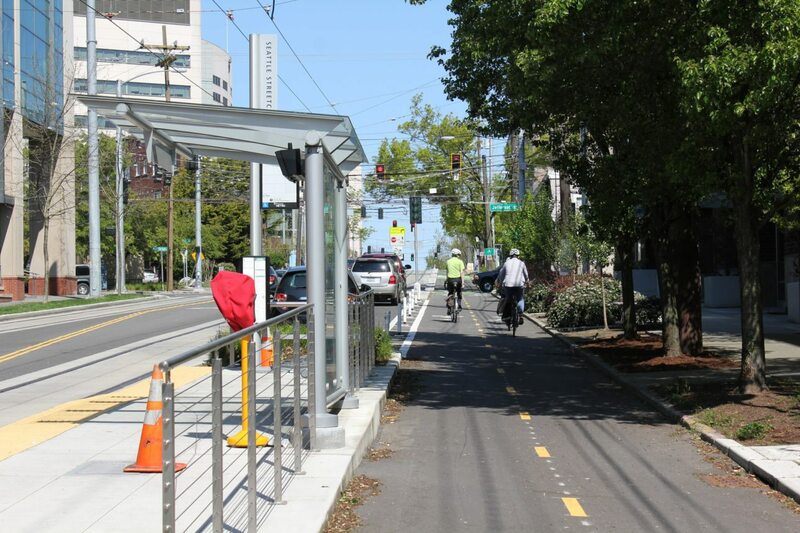 By separating bicyclists from motor traffic, “protected” or physically separated bike lanes can offer a higher level of comfort than conventional bike lanes and are attractive to a wider spectrum of the public. 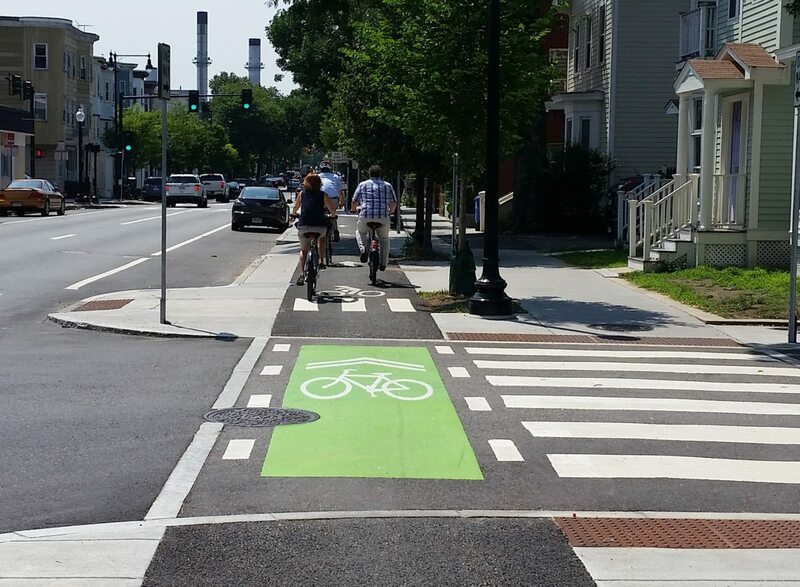 Intersections and approaches must be carefully designed to promote safety and facilitate left-turns for bicyclists from the primary corridor to cross street. Separation types range from simple, painted buffers and flexible delineators, to more substantial separation measures including raised curbs, grade separation, bollards, planters, and parking lanes. 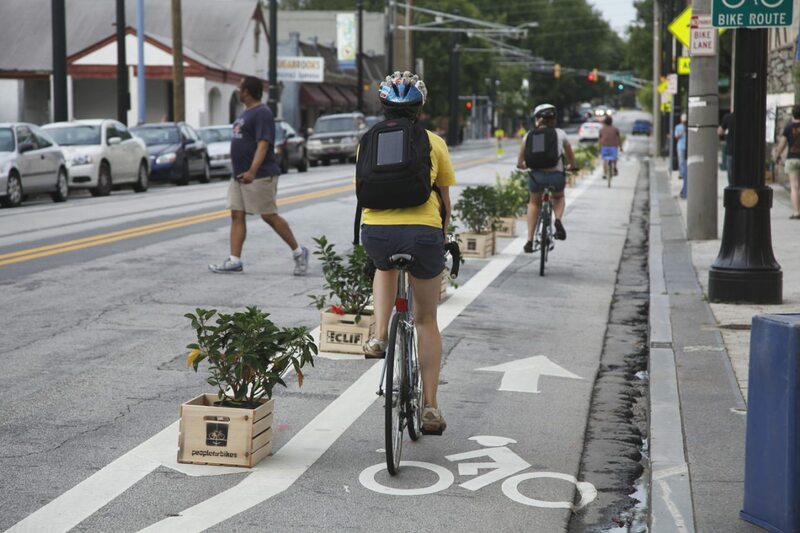 These options range in feasibility due to roadway characteristics, available space, and cost. 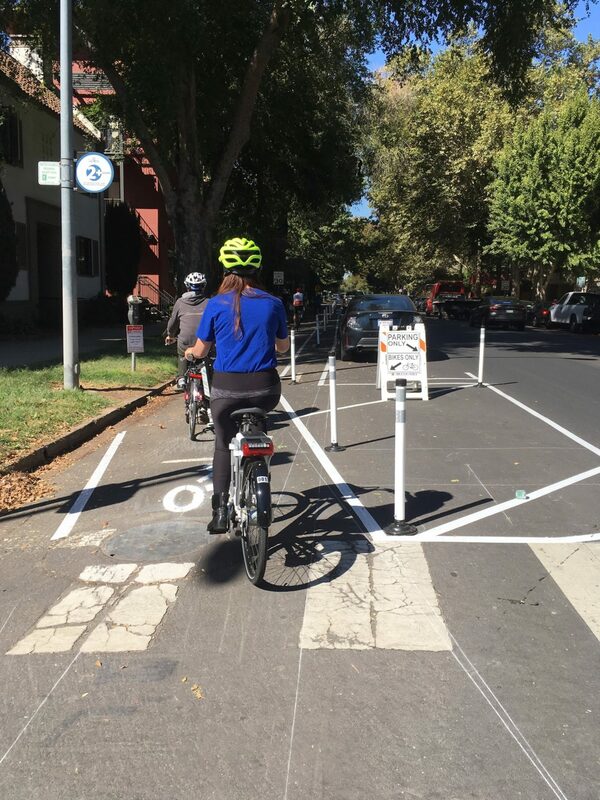 In some cases, it may be possible to provide additional space in areas where pedestrian and bicyclists may interact, such as the parking buffer, or loading zones, or extra bike lane width for cyclists to pass one another. 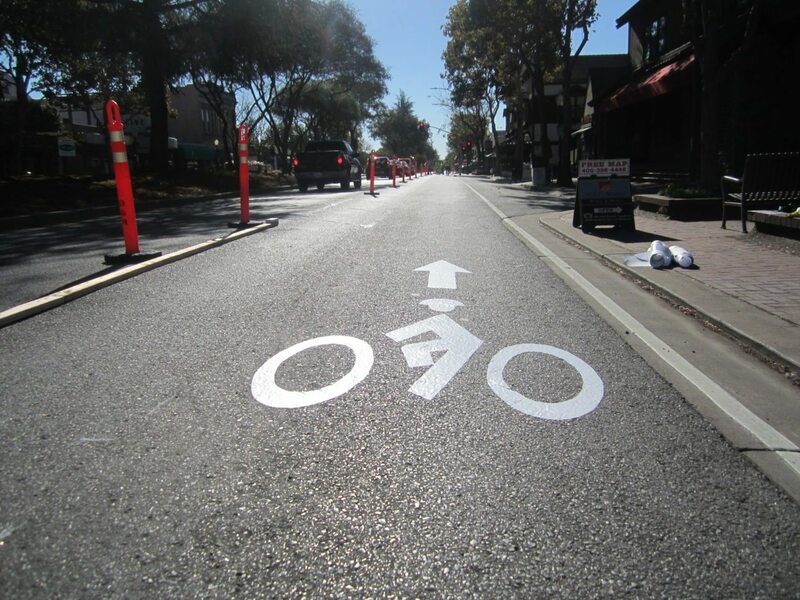 One-way protected bicycle lanes are physically separated bike lanes that allow bicycle movement in one direction on one side of the street. Separation for protected bicycle lanes is provided through physical barriers between the bike lane and the vehicular travel lane. In areas with high bicycle volumes or uphill sections to facilitate safe passing behavior, the minimum desired width is 7 feet. 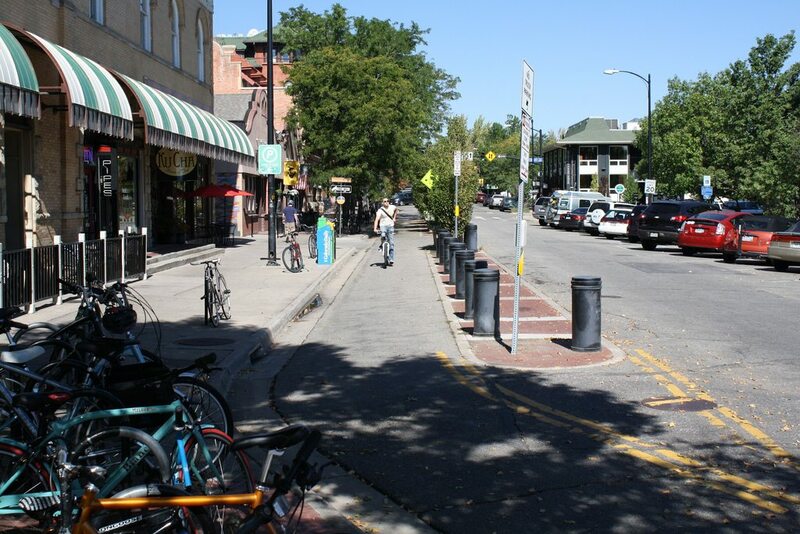 Where possible, physical barriers such as bollards or removable curbs should be oriented towards the inside edge of the buffer to provide as much extra width as possible for bicycle use. 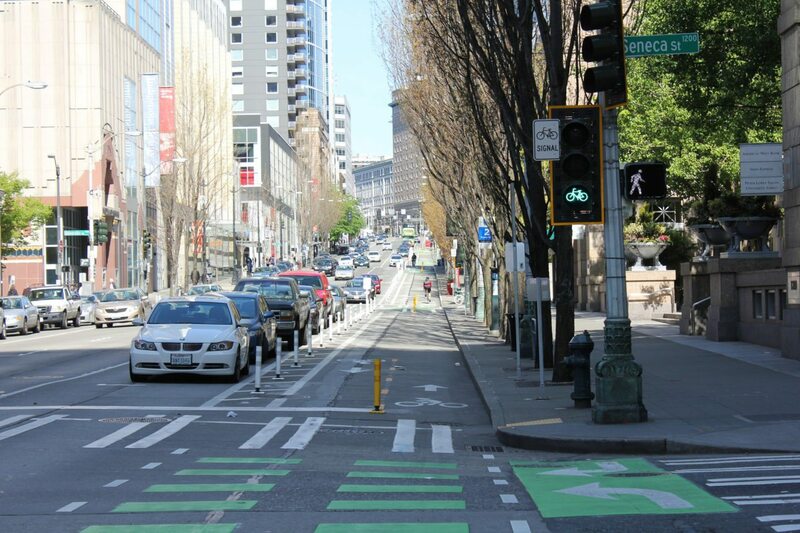 Two-way protected bike lanes or “cycle tracks” are physically separated bike lanes that allow bicycle movement in both directions on one side of the street. 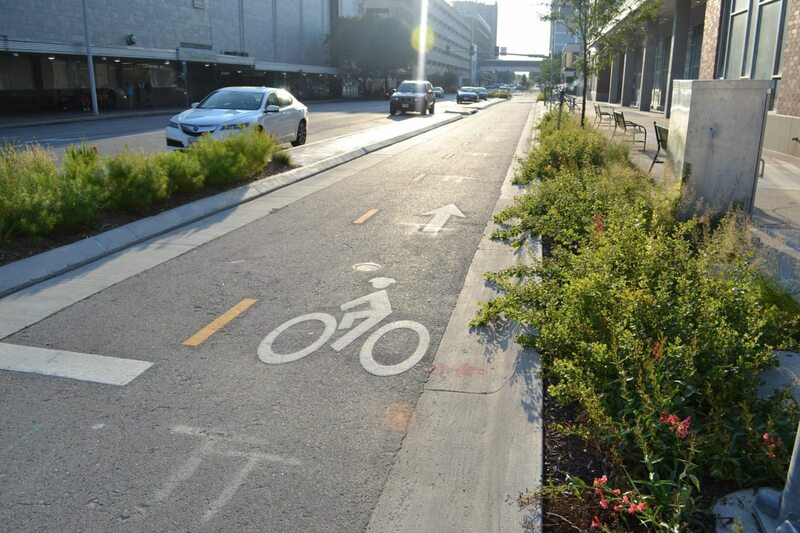 Two-way protected bicycle lanes on two-way streets are not as desirable due to challenges for roadway user expectancy at intersections and driveways. 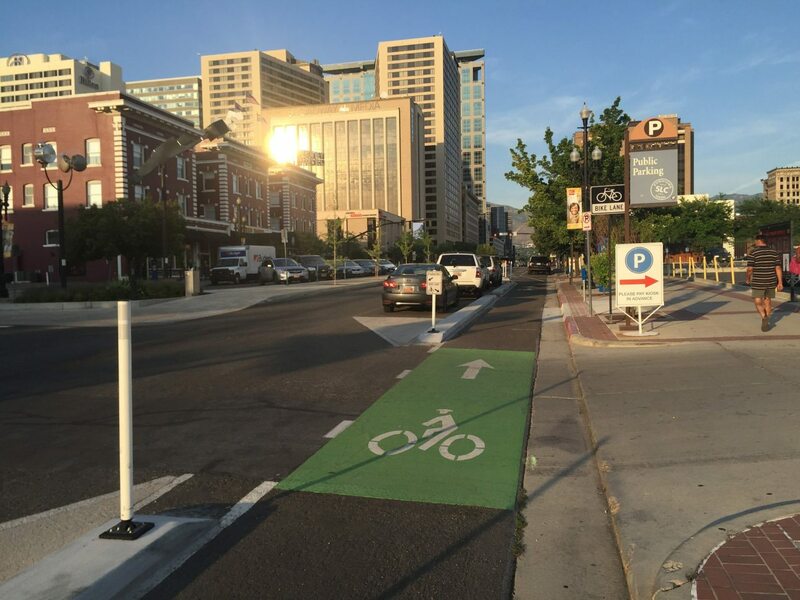 Two-way protected bike lanes are typically placed along streets where more destinations are on one side thereby reducing the need to cross the street and along streets with few conflicts such as driveways or cross-streets on one side of the street. 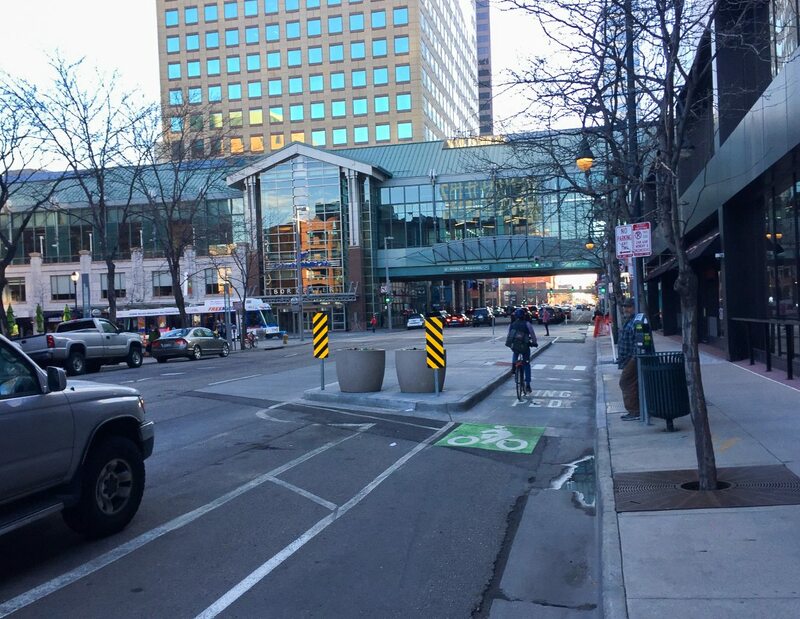 A two-way protected bike lane may be configured at street level or as a raised protected bike lane with vertical separation from the adjacent travel lane. 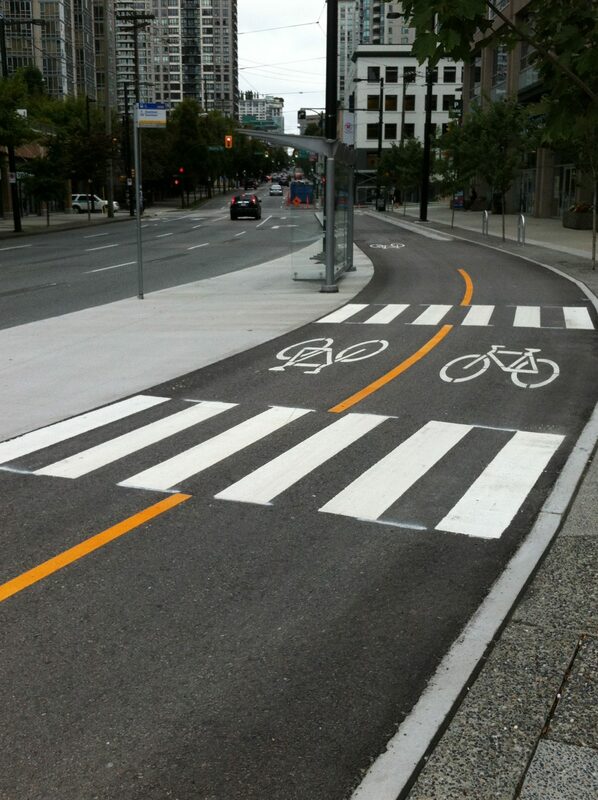 The desired width is 12 feet in areas with high bicycle volumes or uphill sections to facilitate safe passing behavior. Separated bike lanes in US cities have resulted in a significant boost to the local economy, compared to similar streets nearby.